The notion of the 80's fanny pack is long gone. 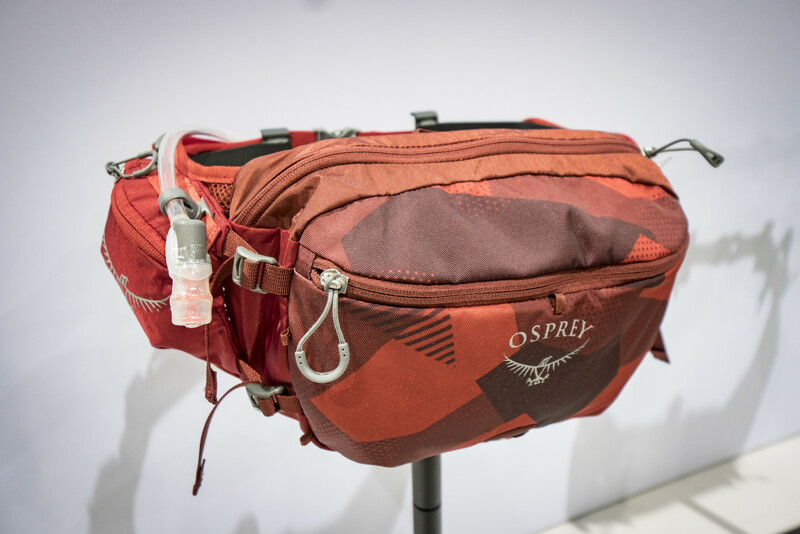 Lumbar packs (aka hip packs and/or fanny packs) are huge at Interbike ’18, with two new models coming out of Cortez, Colorado brand, Osprey. The Seral and Savu are bike-specific packs with angled hipbelt and compression straps to provide best-in-class stability under riding motion. The Seral has an Integrated Hydraulics 1.5L reservoir and retails for $85. A magnetic hipbelt bite valve attachment makes it easy to control your straw while the direct-access zip path to reservoir compartment makes the reservoir easy to load. You’ll also find 7 Liters of storage volume in the Seral. The Savu is a dual-water-bottle lumbar pack for $55. 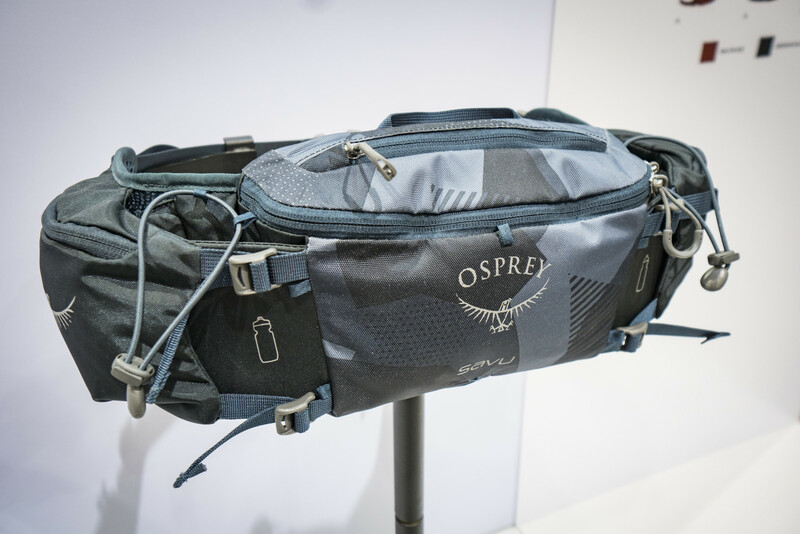 This pack has a nifty stiffener that snaps into place to hold the bottle compartments wide open while you drink—that way you can reach behind your back while riding and slip it in the hole without looking! Storage volume is 4 liters. www.osprey.com has all the info.